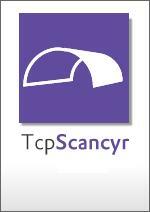 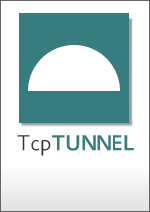 This CAD application processes tunnel surveying data measured by total stations running TcpTunnel or other programs. 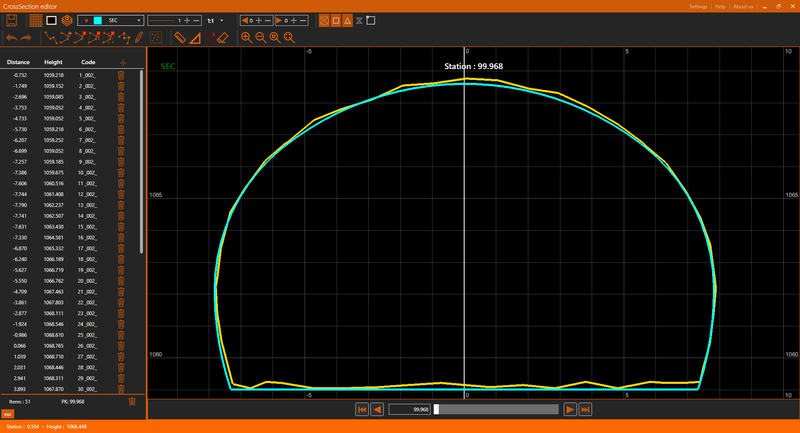 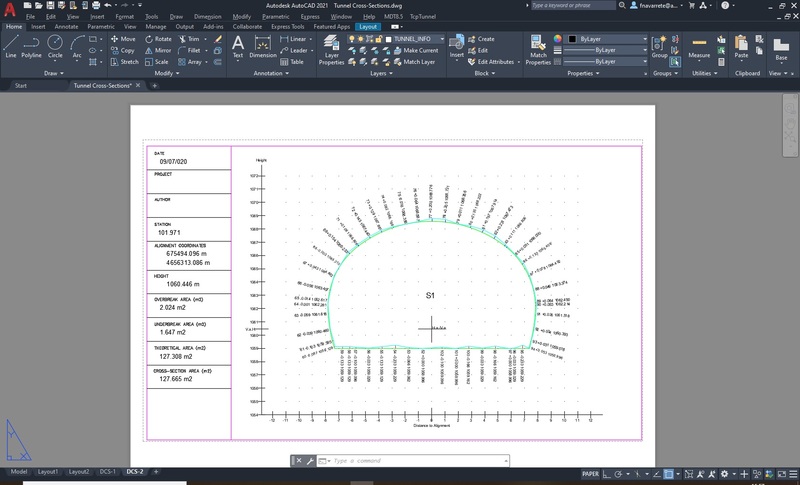 TcpTunnel CAD calculates from the points and alignment the cross sections, that can be filtered and edited, and allows you to compare with the tunnel template drawn as a polyline. 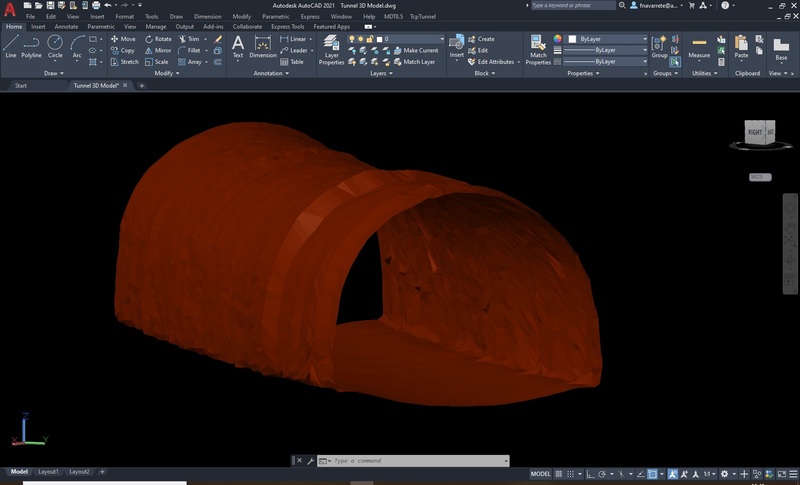 You can also draw profiles in single or sheet mode with multiple customization options, as well as generate the 3D model of the tunnel. 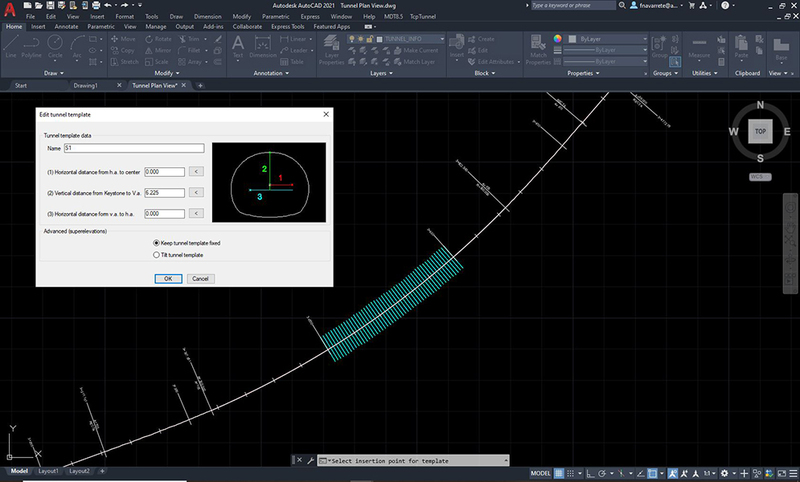 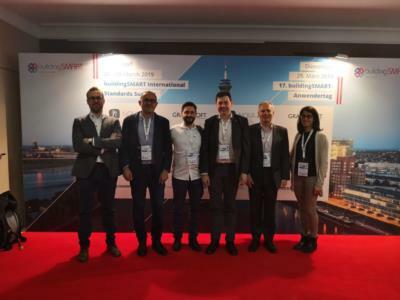 The application also calculates infra or over-excavation areas and volumes, generating reports that can be printed or exported to various formats.